My Name is Chien: Althea Korea PH Turns One! Althea Korea PH Turns One! Time flies so fast! So it was a year ago since the launch of Althea Philippines. Today is the start of Althea Philippine's Birthday celebration! Shopping with Althea for Authentic Korean Beauty items is not just quick but also affordable. Compared to most online shops, I must say you can never go wrong with Althea. They continue to expand more and more as they offer brands from Korea which I've not heard of. Althea even have door to door shipping which is very awesome when you know how bad it is to pickup an item in customs. Items are carefully wrapped with bubble wrap and comes in a dainty pink and pretty sturdy box. 1.) For orders placed on 20th July onwards, you'll receive Limited Edition Birthday Box + DIY Party Kit. 2.) Althea Birthday Giveaway: Pick 3 best sellers and get 100% rebate! 3.) The Special First 1500 Shoppers gets free limited goodie bag. They've just shared a new contest in their Facebook Page. The Althea Instagram Contest starts today! 2. 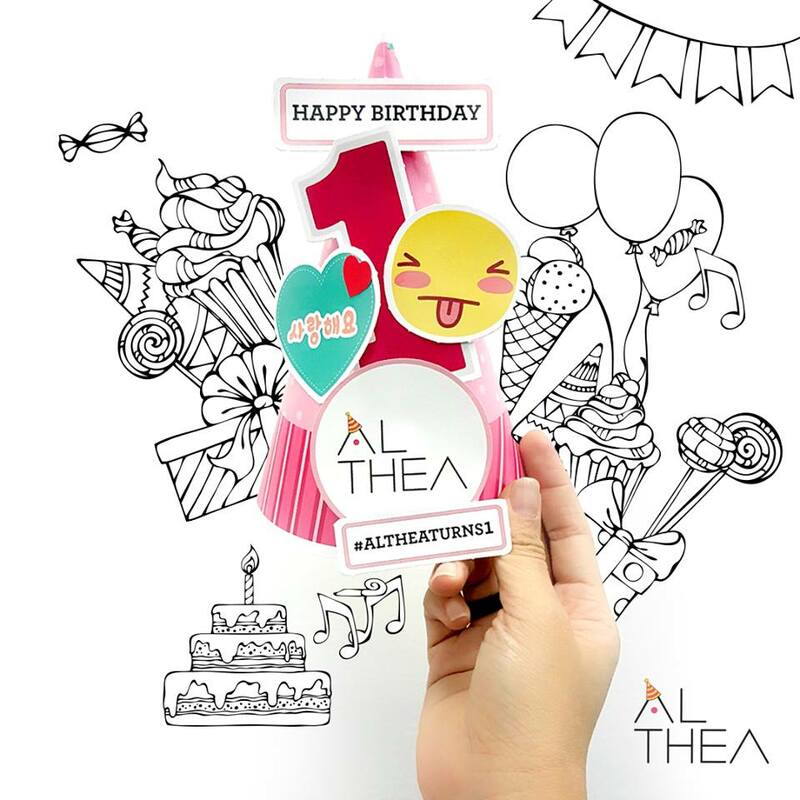 Snap a selfie with your party hat & wish us a Happy Birthday on Instagram with hashtag ‪#‎AltheaTurns1‬ ‪#‎AltheaKorea‬ to stand a chance to win amazing prizes from Althea Korea. 5.) Back to back sale!!! A lot of your favorite korean beauty items are on promo sale, they even have April Skin now. One thing I spotted is the 30% off Argan Glow Hair Oil! Light formula, glowy hair, moisturizing, vitamin + nutrients and elegant fragrance!